Graduated with a Speech Communications degree from Cal State Northridge, which he calls the Harvard of the West Coast. Coley was a two-sport star at CSUN, as he was a three-time first-team All-American middle blocker and quarterback for four seasons on the football team. Left his name among the top five career leaders in kills and blocks. In 2004 was inducted into the Athletic Hall of Fame at CSUN. In 1991 was a Silver Medalist in the World University Games. 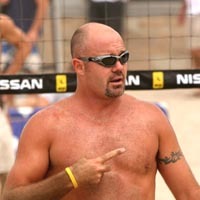 Married AVP player Michelle Mauney in 1997 and they have one son (Jake), born in 2000.